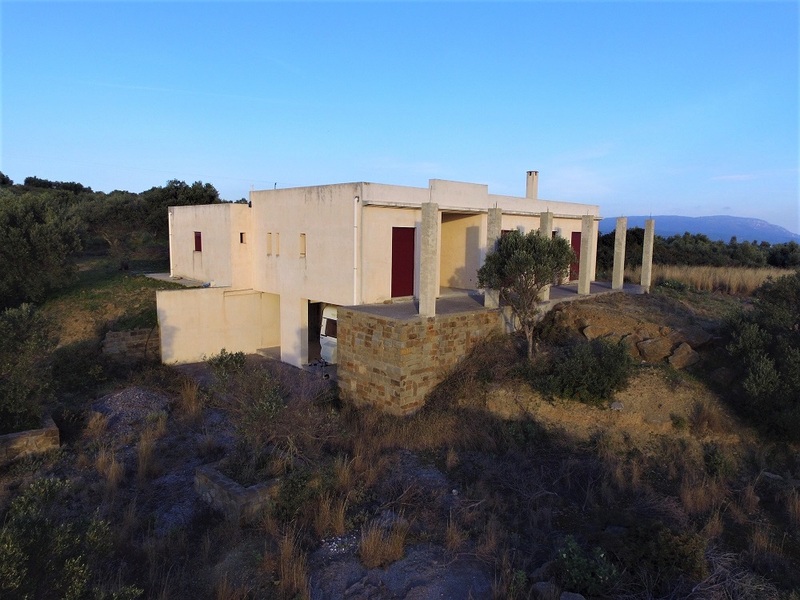 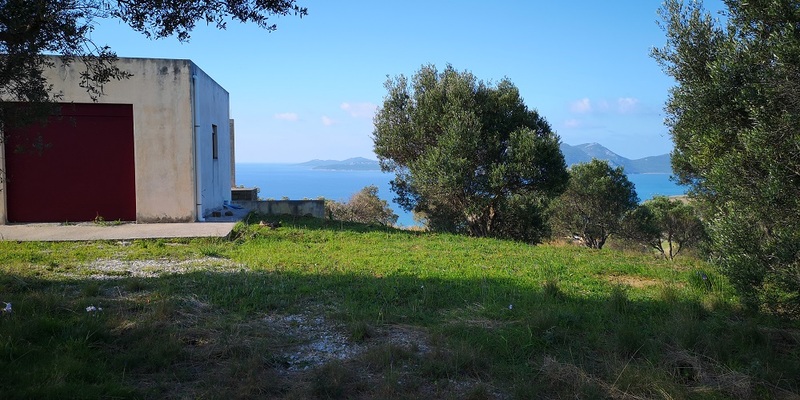 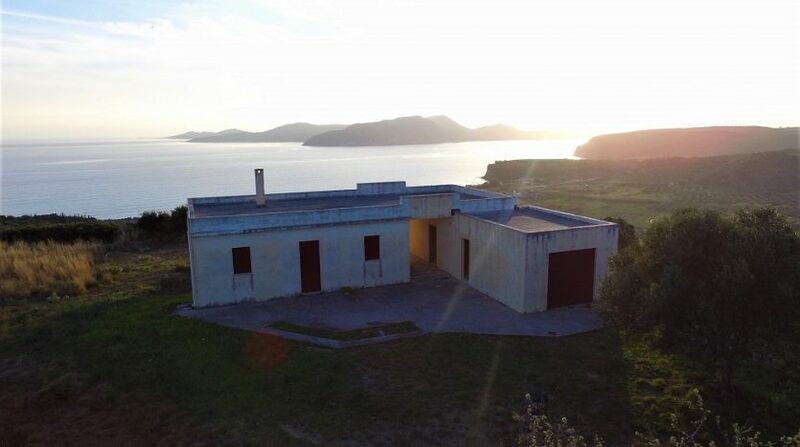 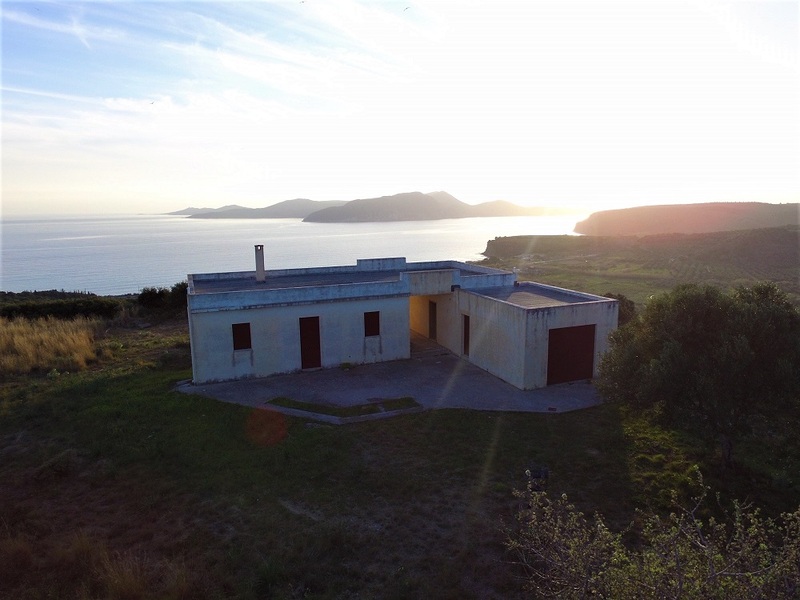 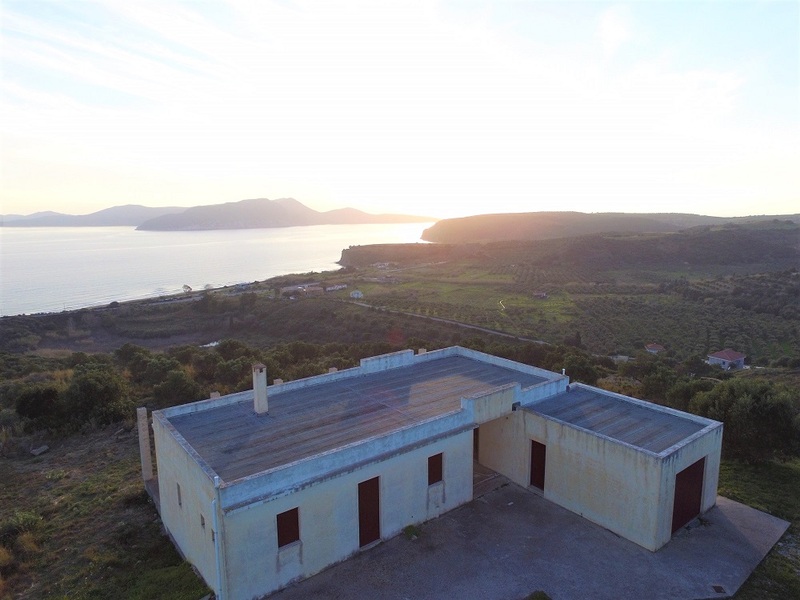 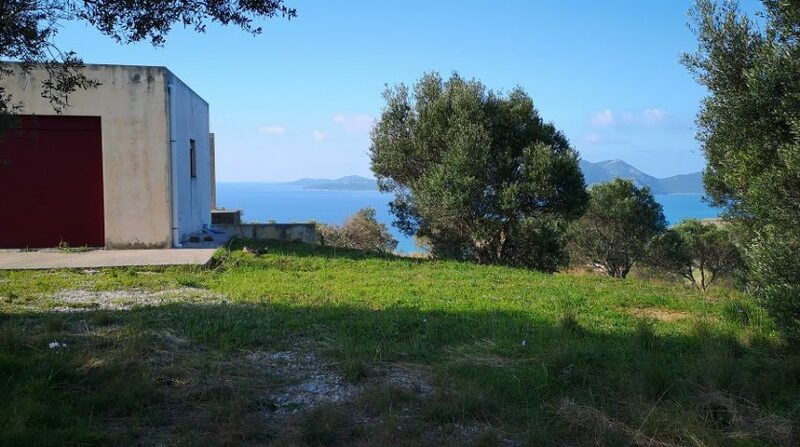 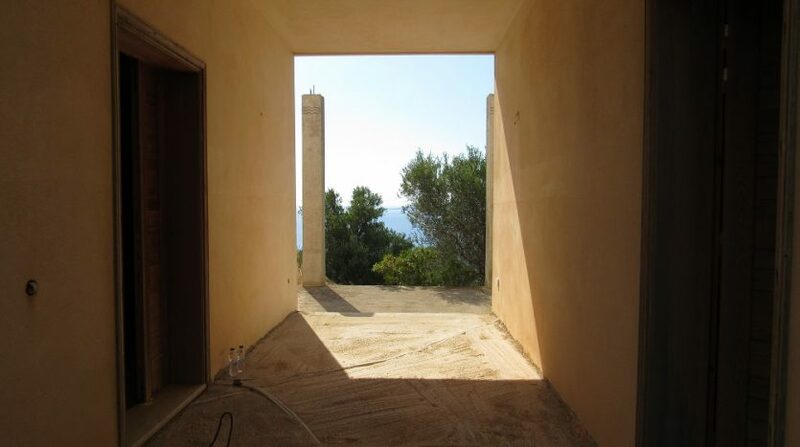 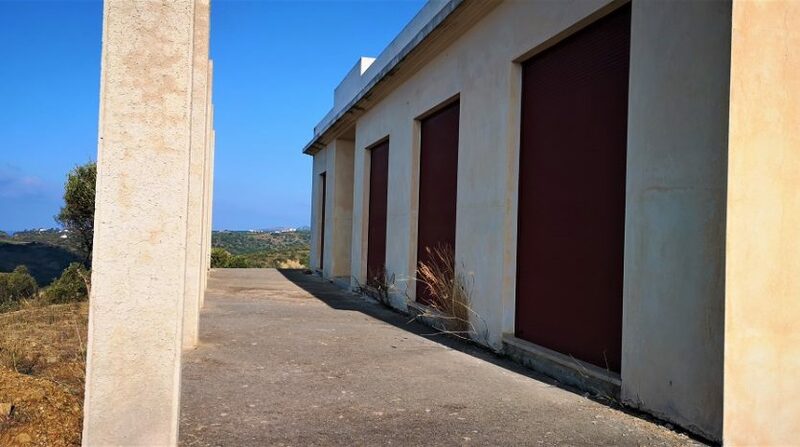 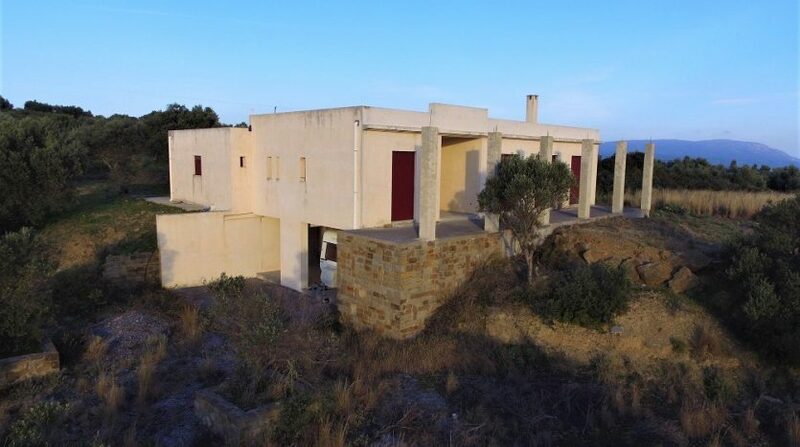 Stunning, unobstructed sea view house on the hills of Finiki area. 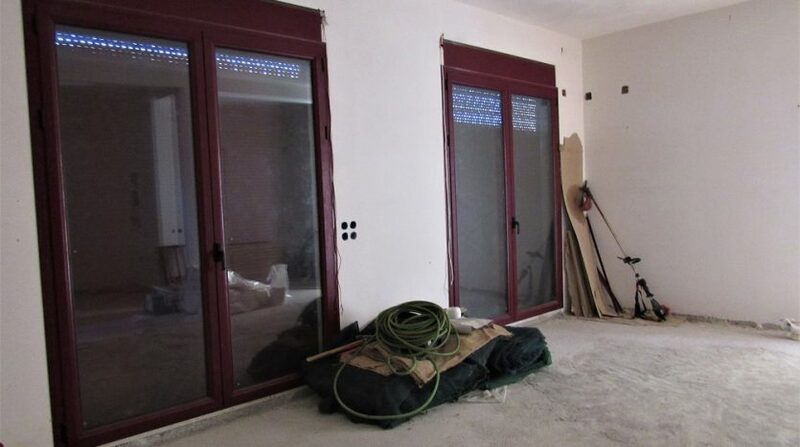 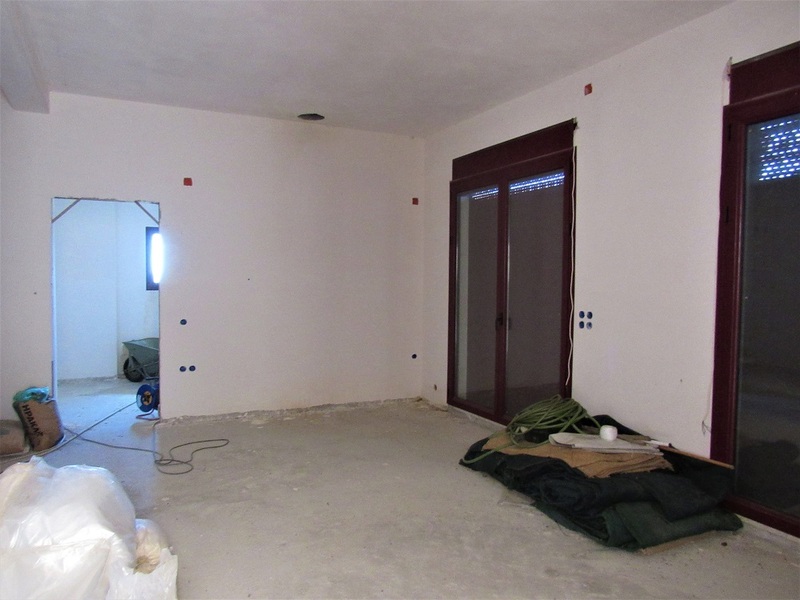 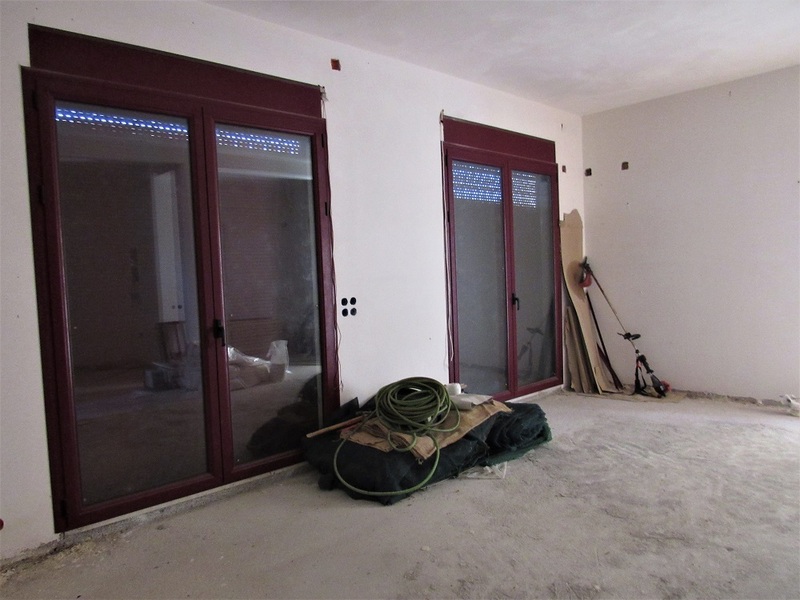 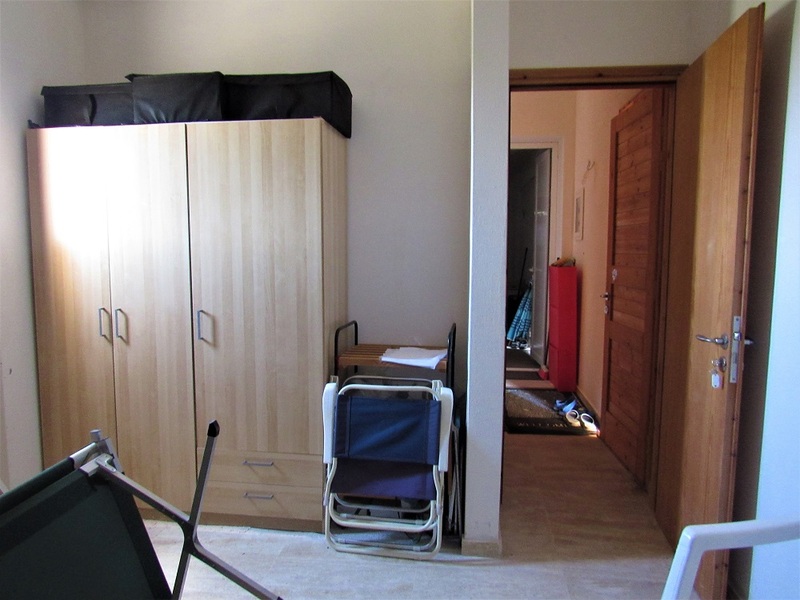 Semi-finished main house of 80sqm, one bedroom, one bathroom, open plan kitchen – living room. 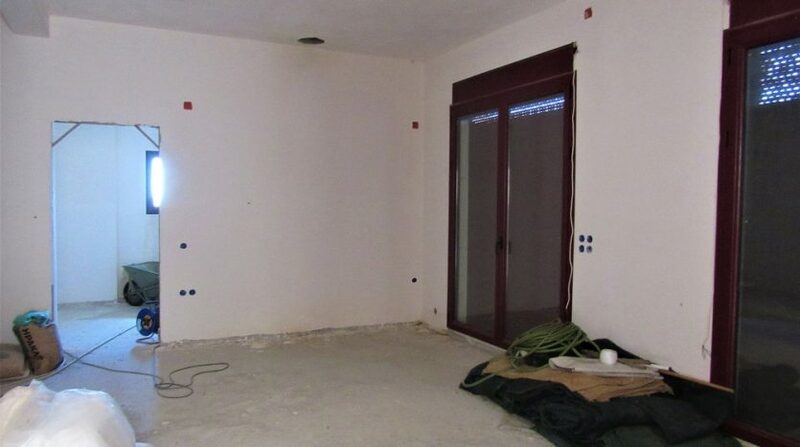 Separate guest house of 25sqm. 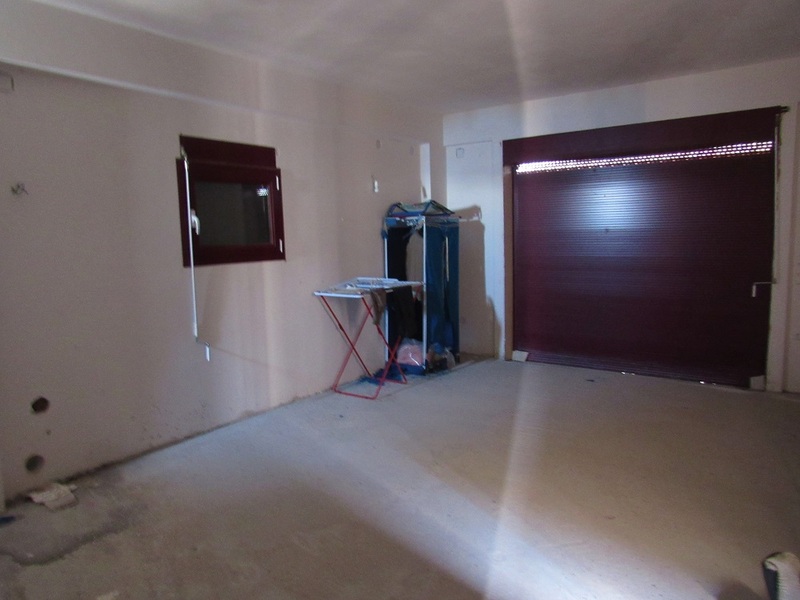 and garage. 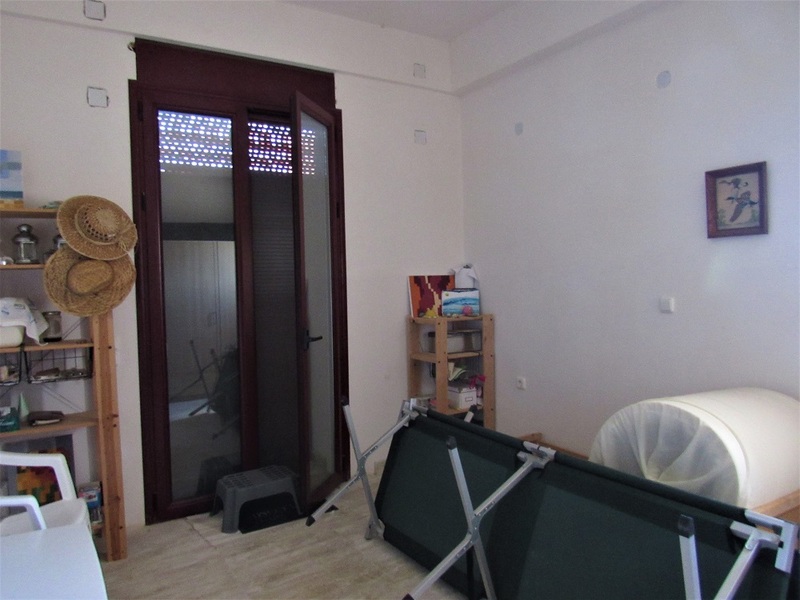 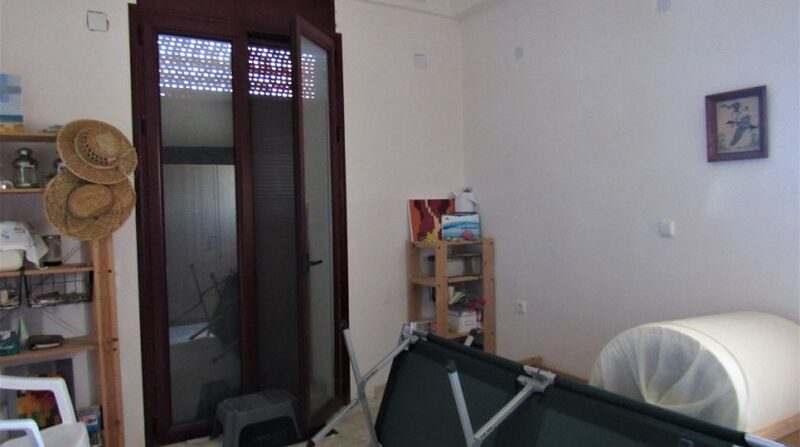 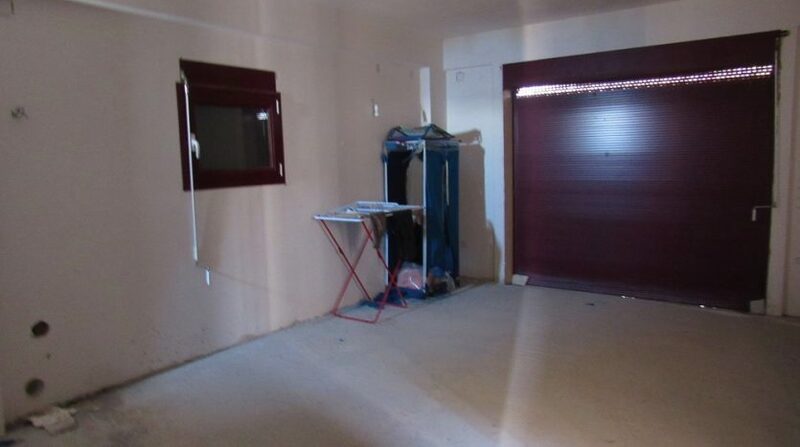 Semi-basement of 100sqm. 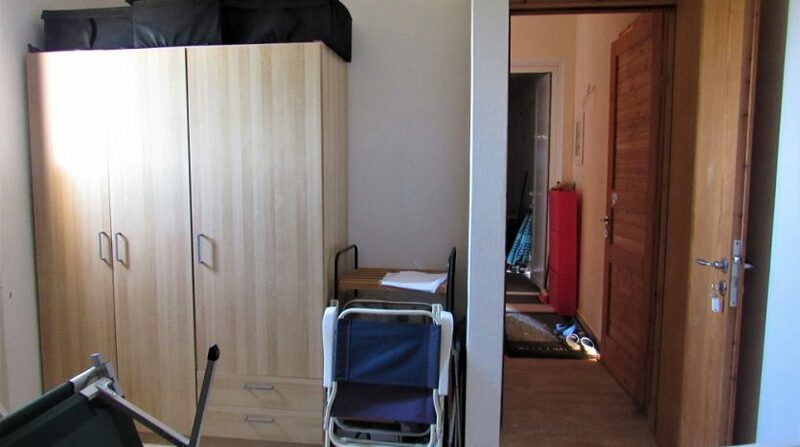 that can be turned into living space. 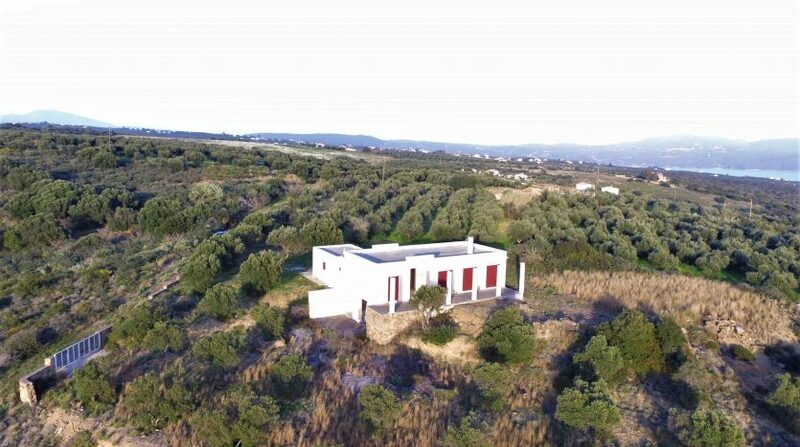 The property lies on 5.019sqm. 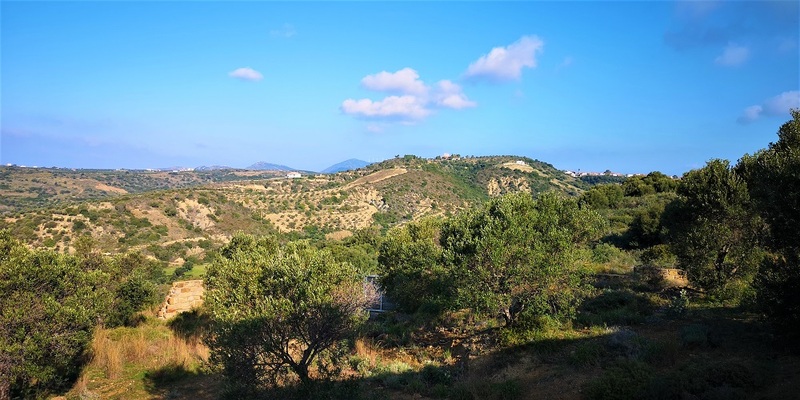 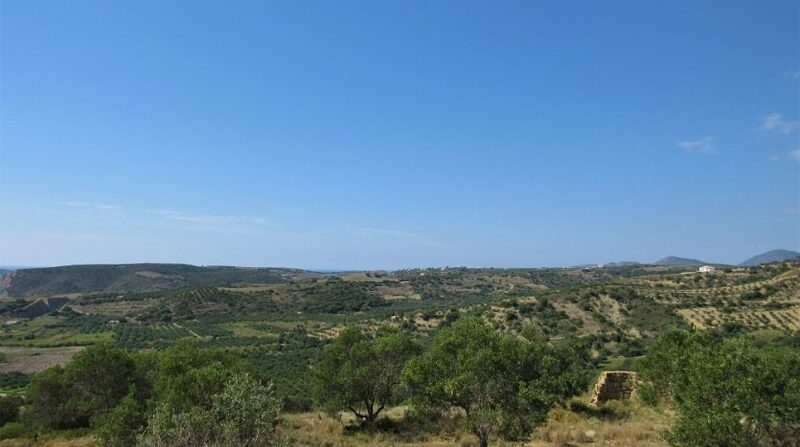 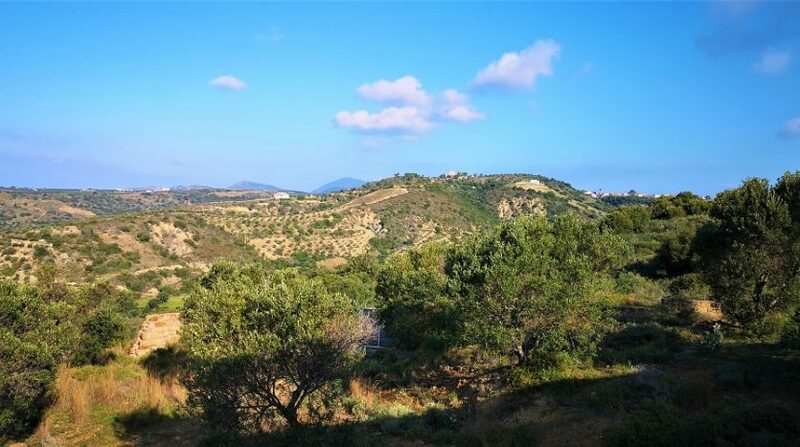 green land with open views to the sea and the hills. 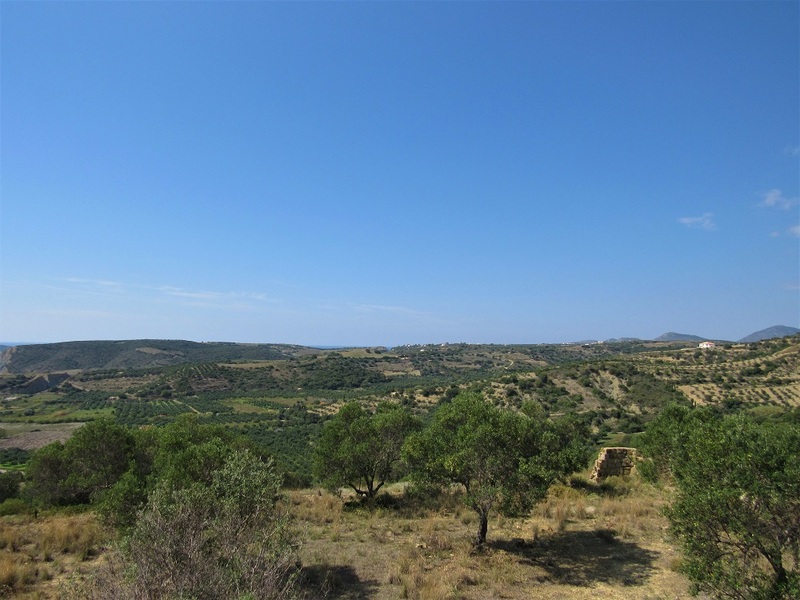 The height difference with the frond land ensures unblocked views. 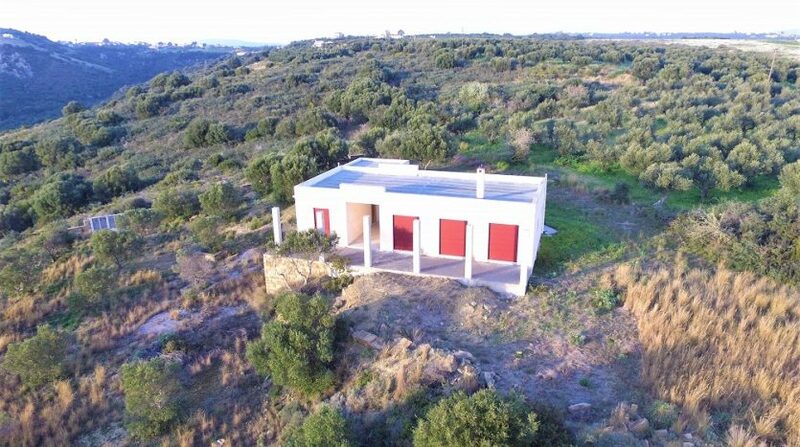 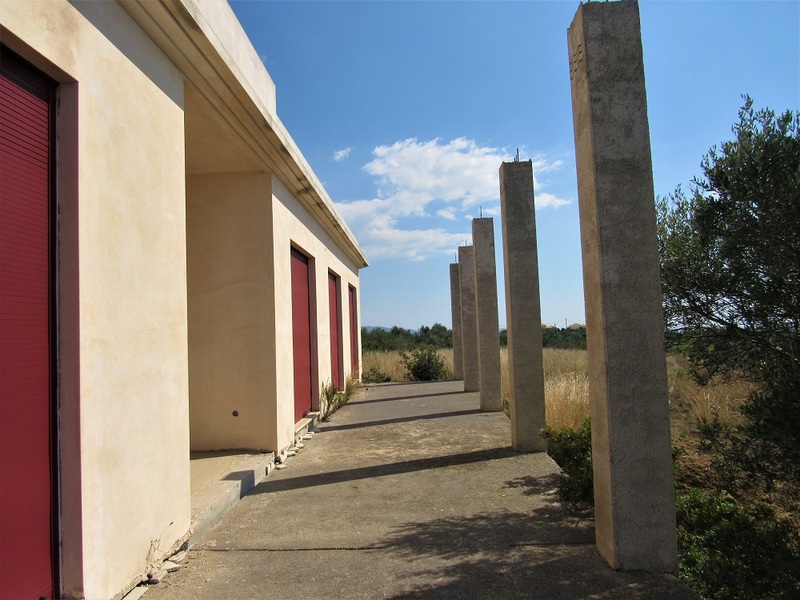 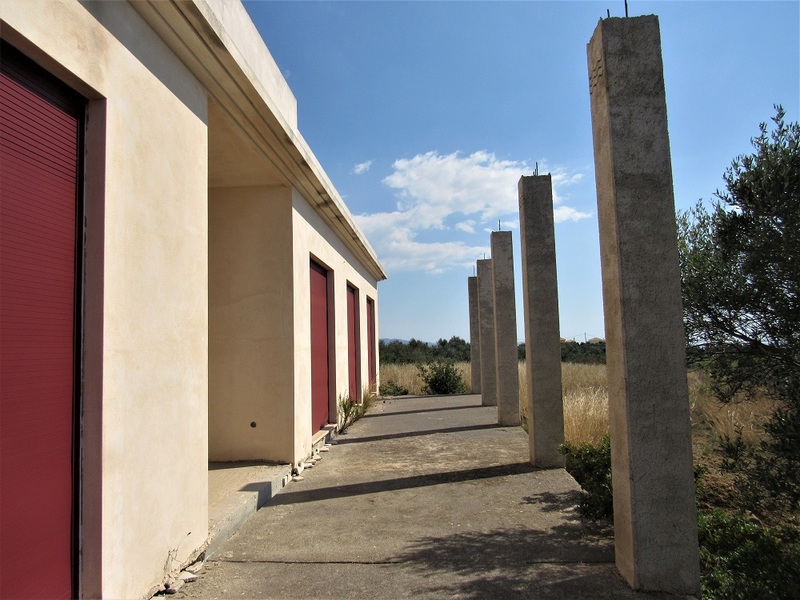 A property with great potentials for those who enjoy serenity and privacy. 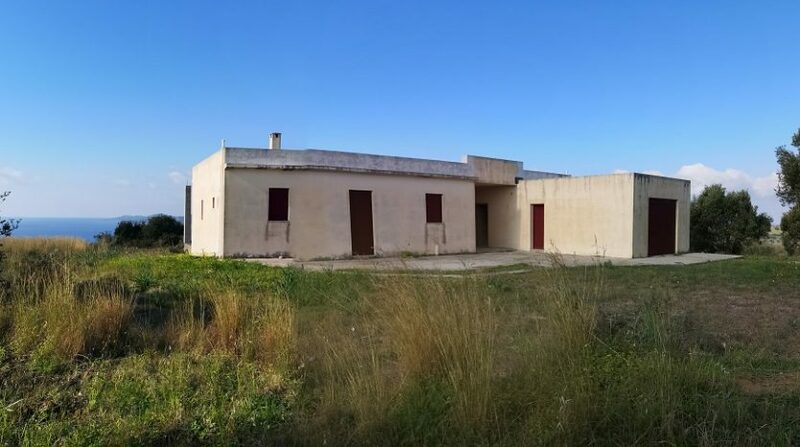 3klm. 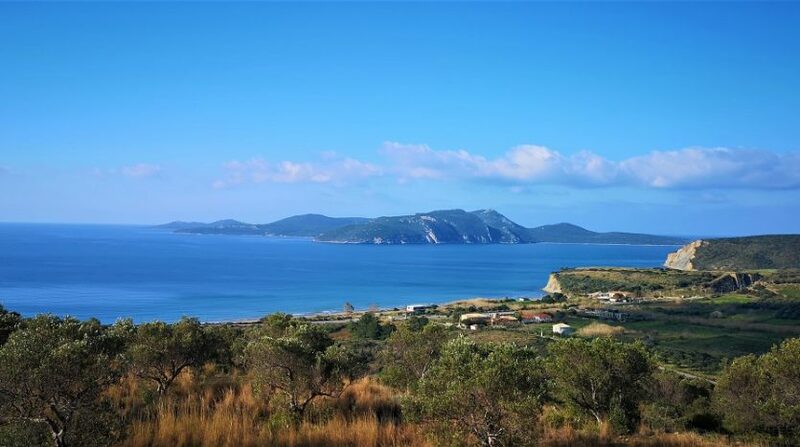 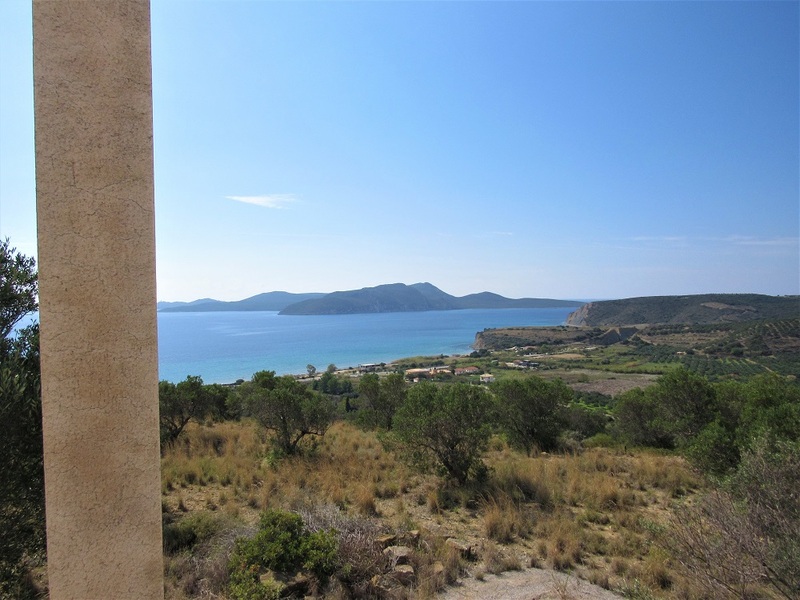 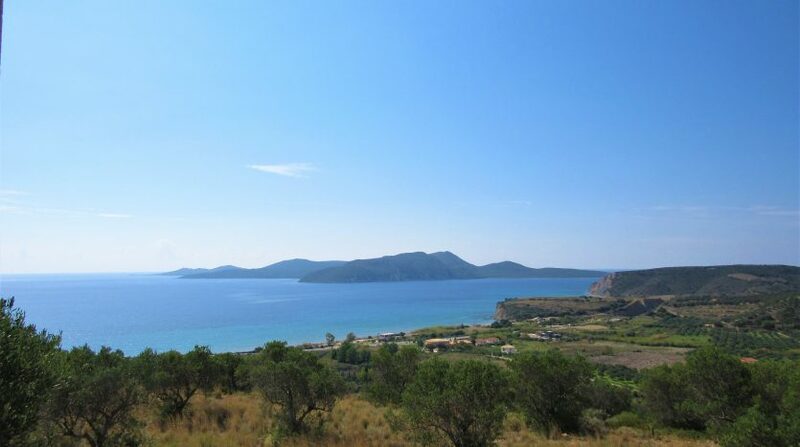 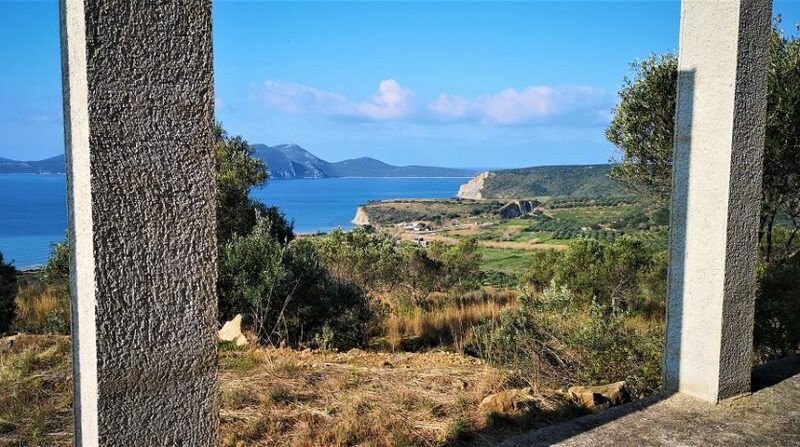 to the beach, less than 10′ drive to Methoni or Finikounda, 25′ to the closest golf course. 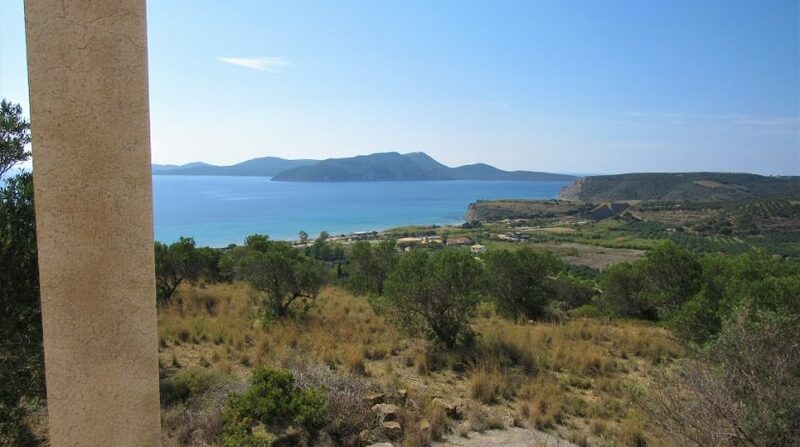 Finiki is a small village over Lambes area. 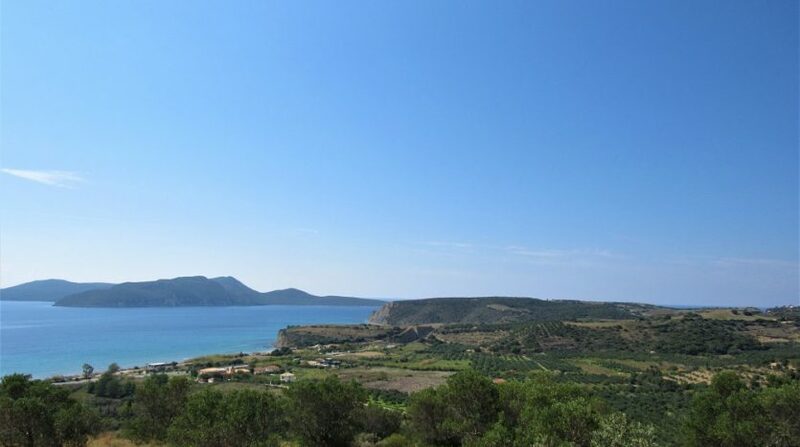 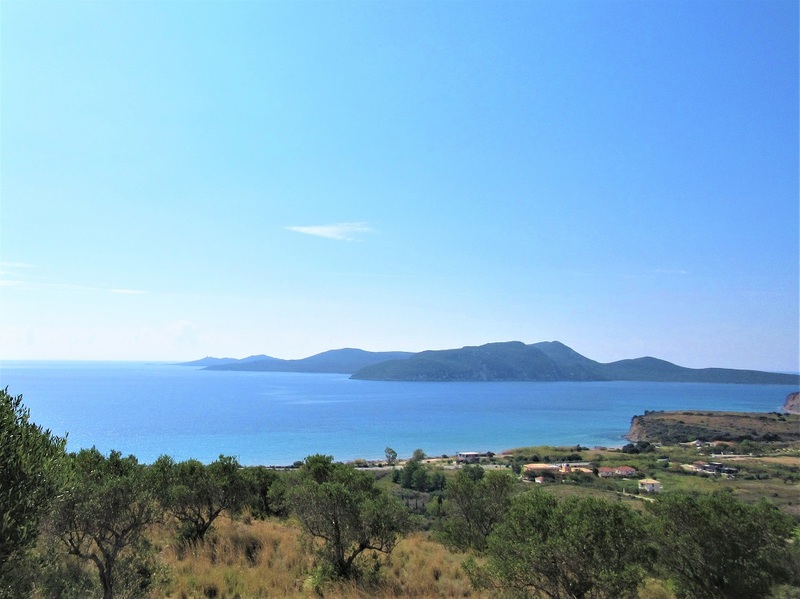 Short drive to the beach, Methoni and Finikounda where you can find shops, restaurants, coffee places and other services. 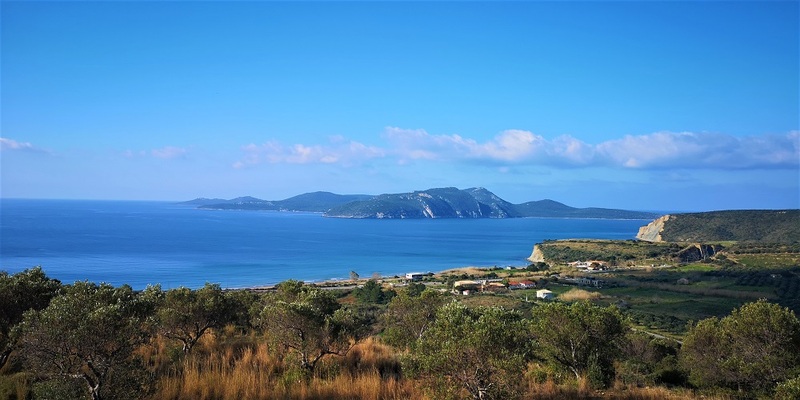 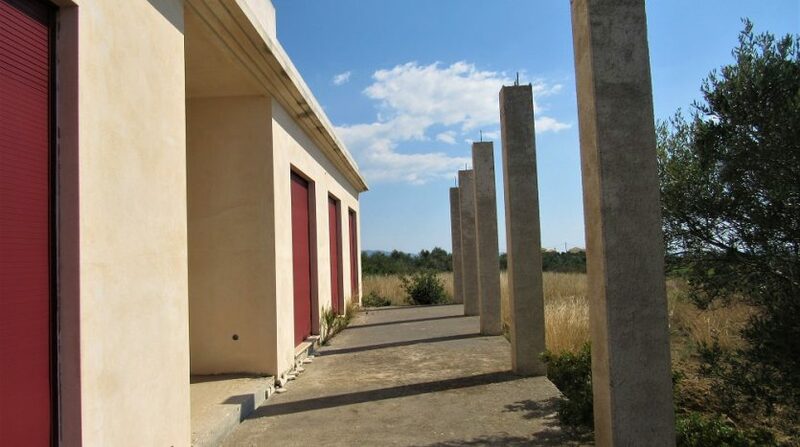 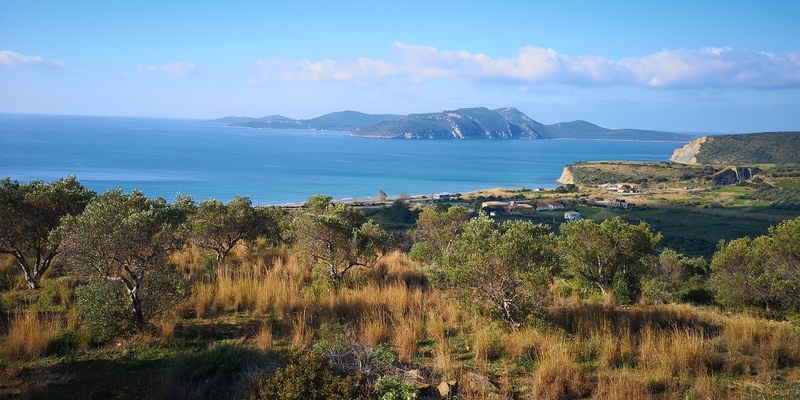 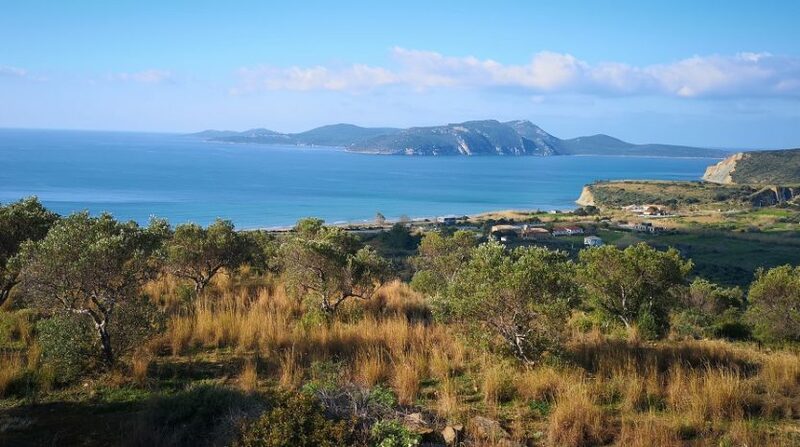 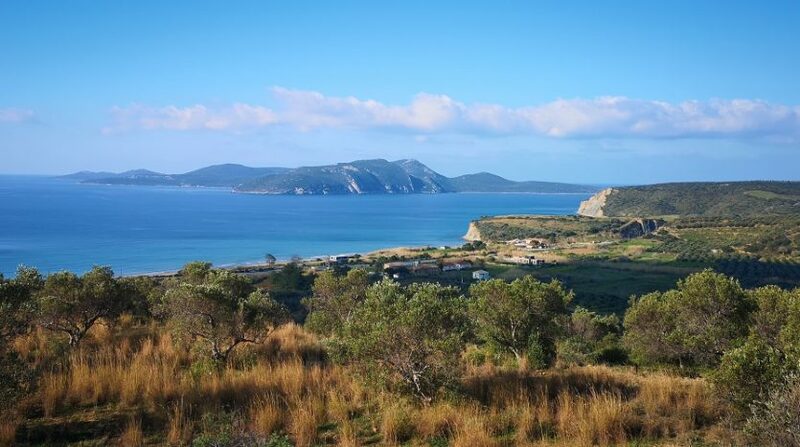 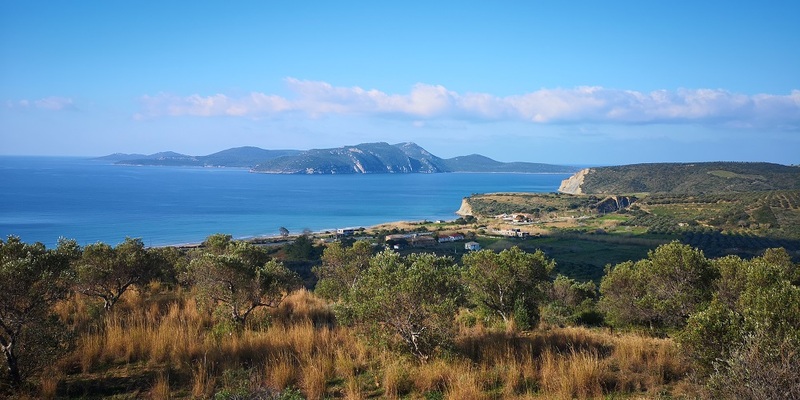 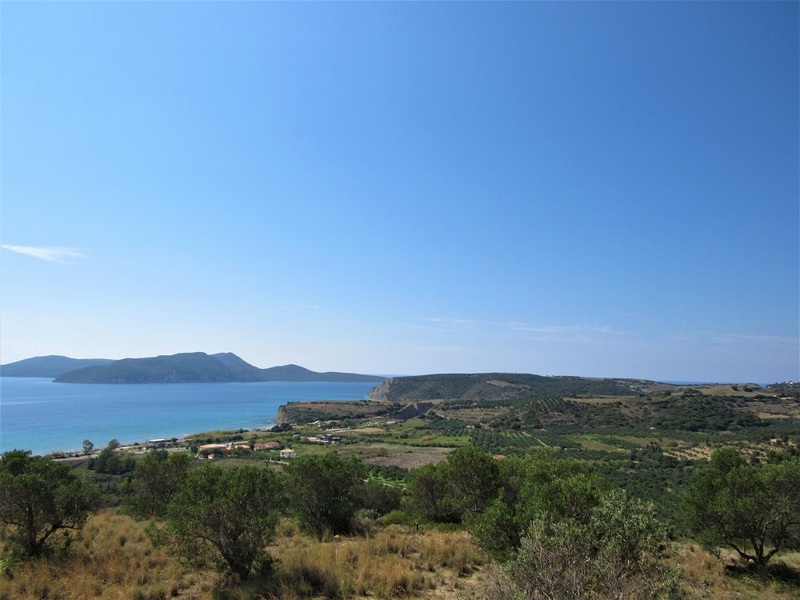 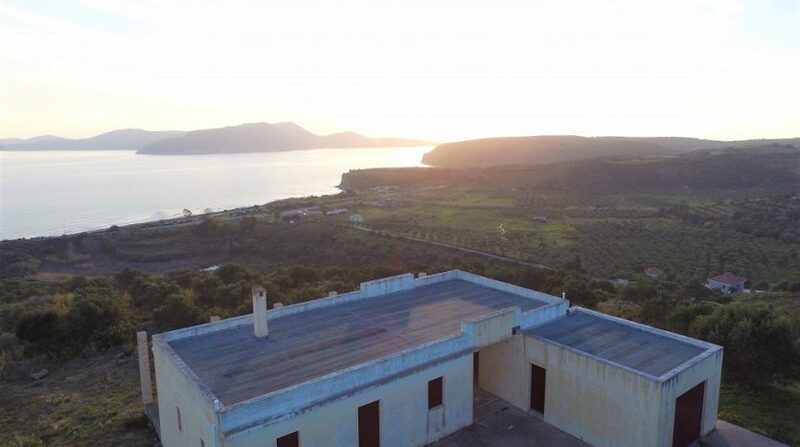 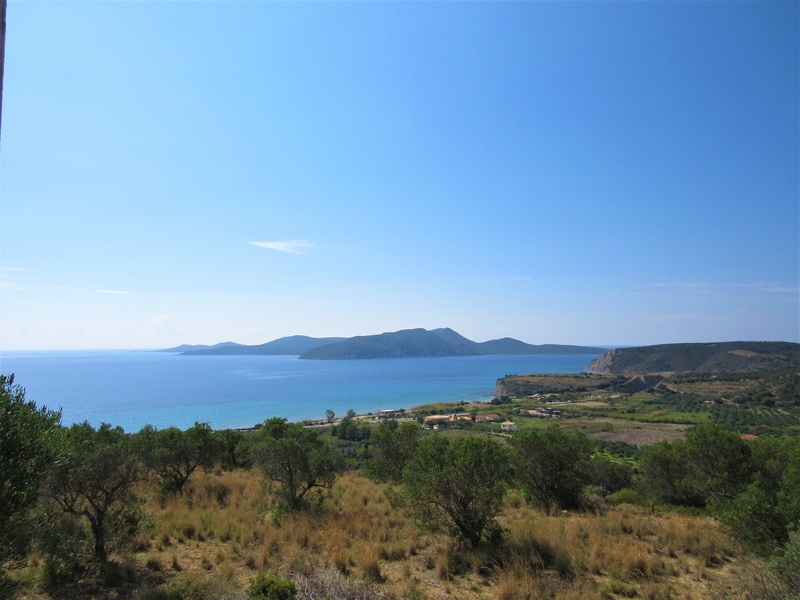 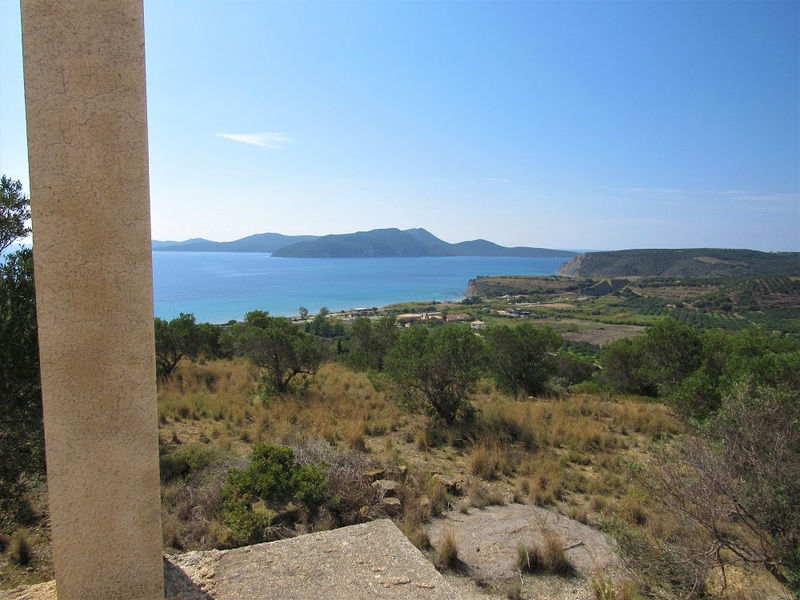 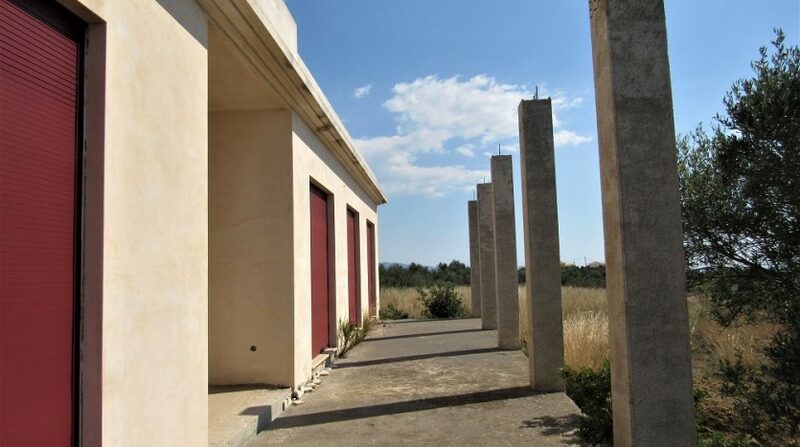 5′ to Methoni, 10′ to Finikounda, 15′ to Pylos and 25′ to Gialova sea side village. 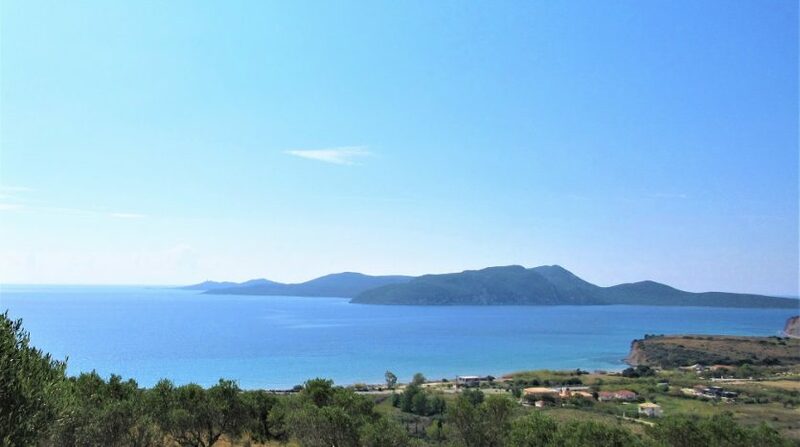 An hour drive to Kalamata’s airport. 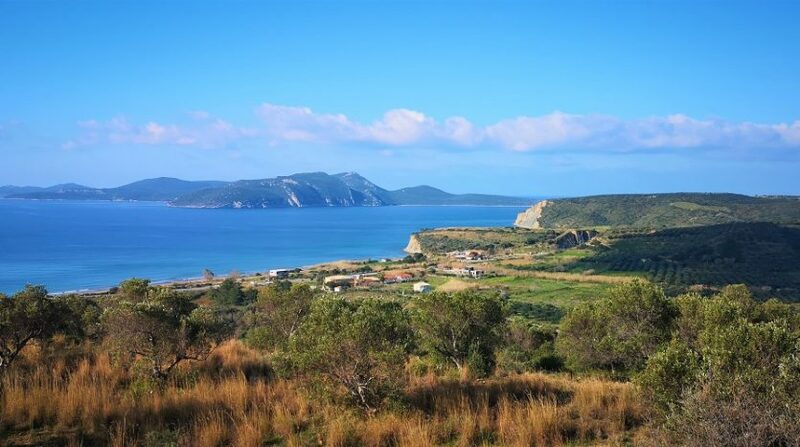 Methoni, the historical town that attracts visitors for the great castle which is the biggest in the Balcanies. 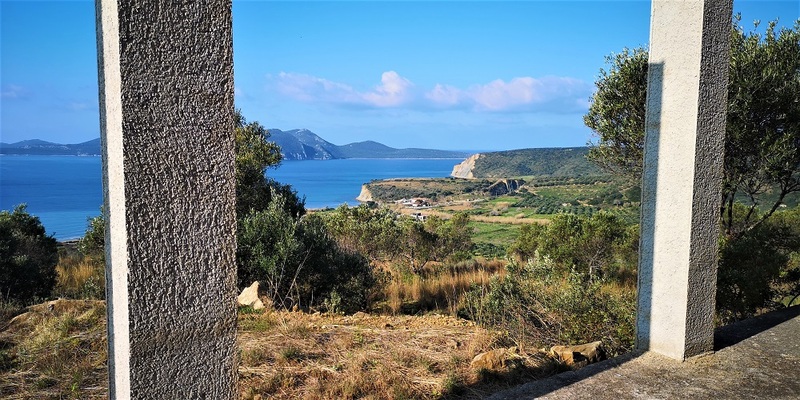 You can also visit the sister castle of Methoni that is located in Koroni. 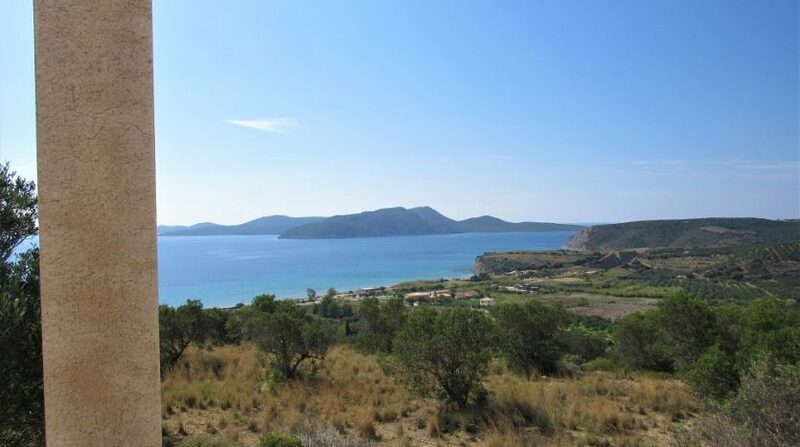 Don’t miss Finikounda, the sea side village where you can enjoy a walk through the shops and the beach. 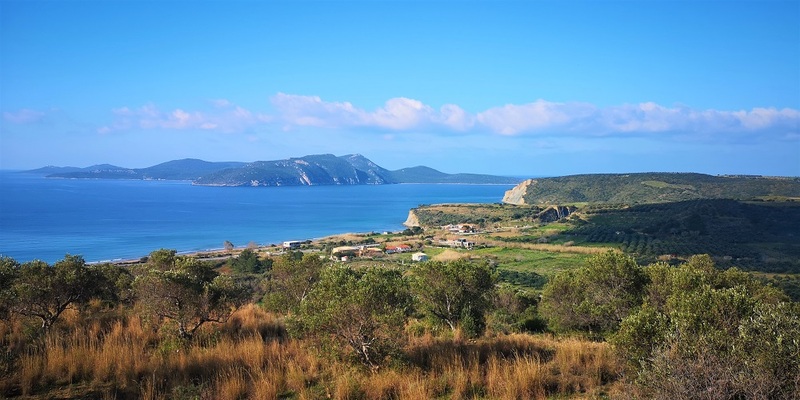 Around the area you can also see Pylos castle and archaeological museum, Nestoros palace, and other historical monuments. 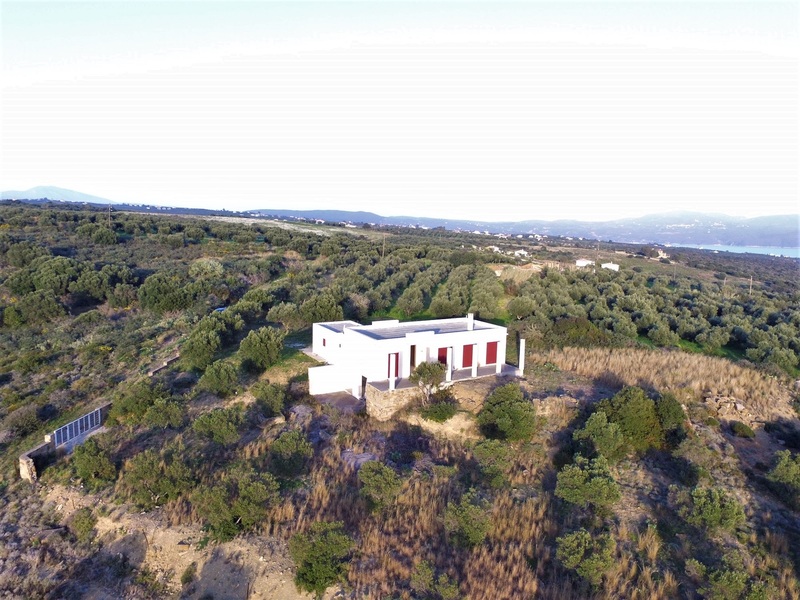 The buyer has to choose an accountant, then providing his passport he should have a Greek tax number (AFM). 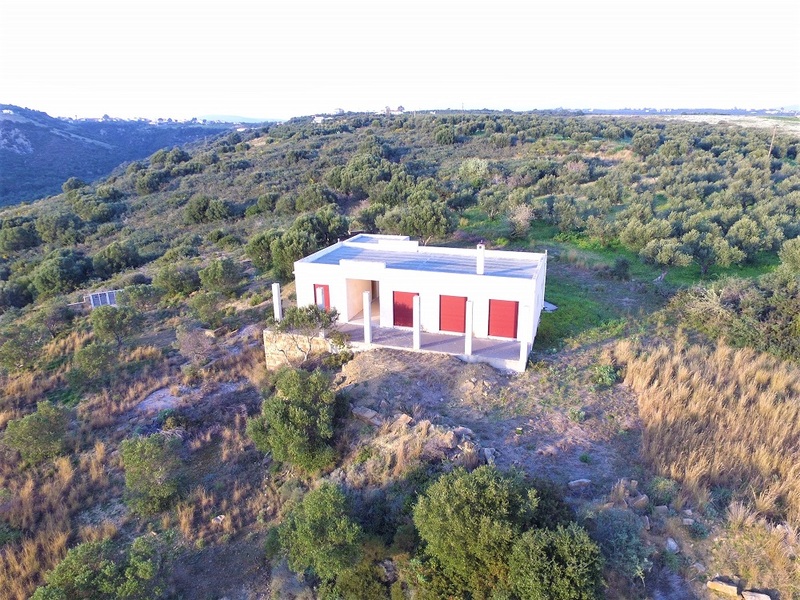 Using the Greek tax number, the passport and a document to declare the address of the main residence, the buyer should open a Greek bank account. 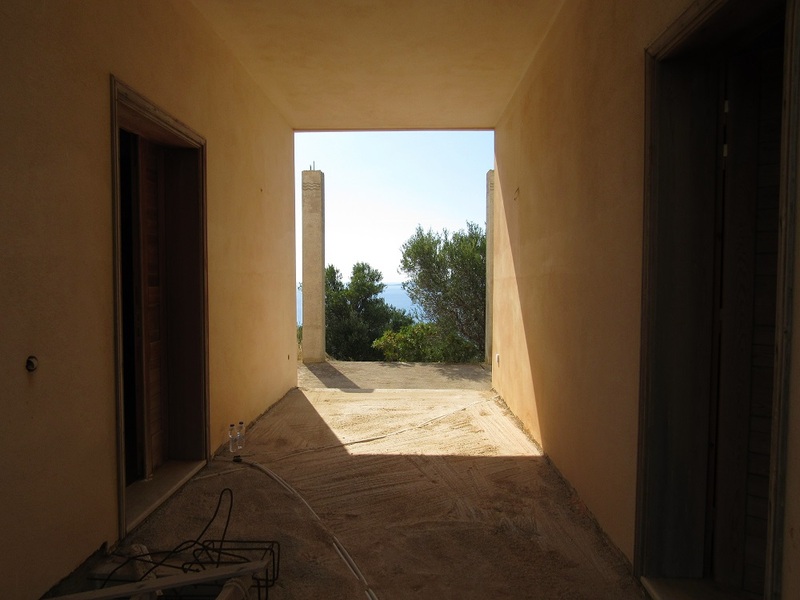 We can take care or help you at any step of the process.